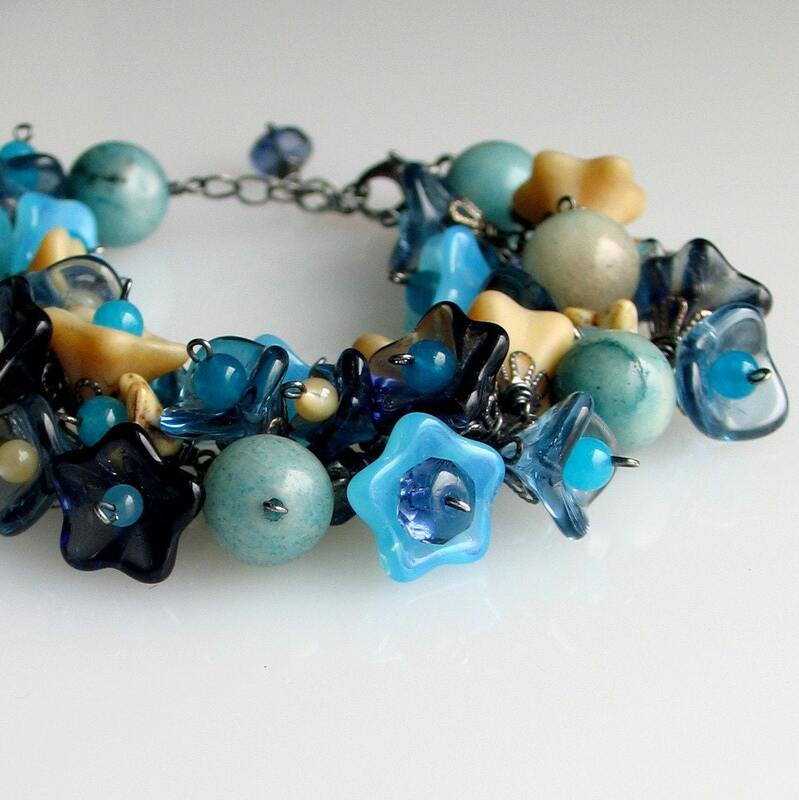 This rich floral bracelet is a gardener's delight in shades of blue with some beige. 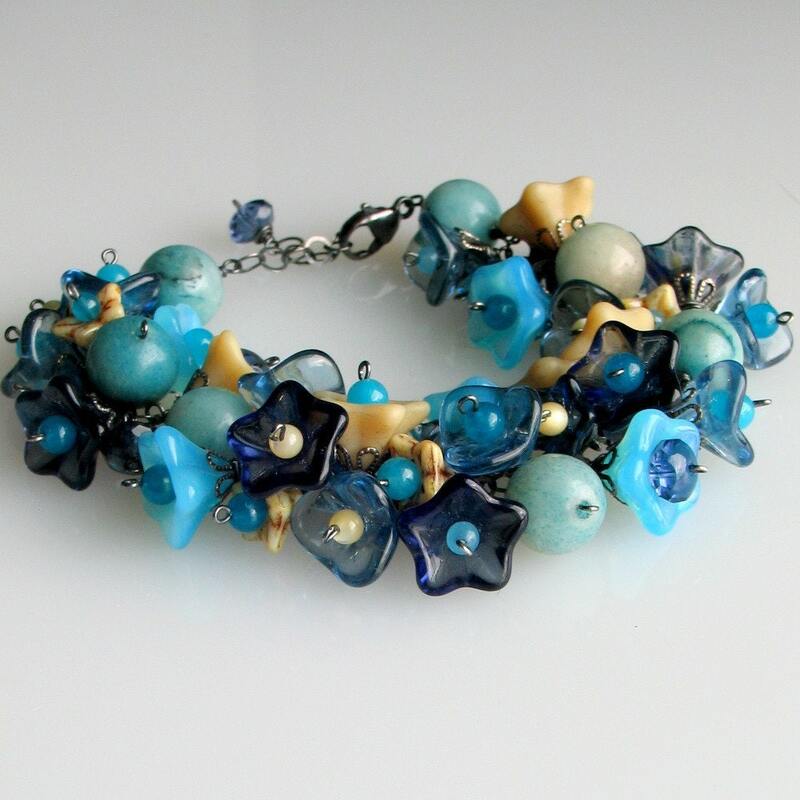 Czech pressed glass blossoms predominate and are featured in matte and shiny, transparent and opaque, with centers that include dyed quartz, mother of pearl, faceted Czech glass, and oxidized copper. 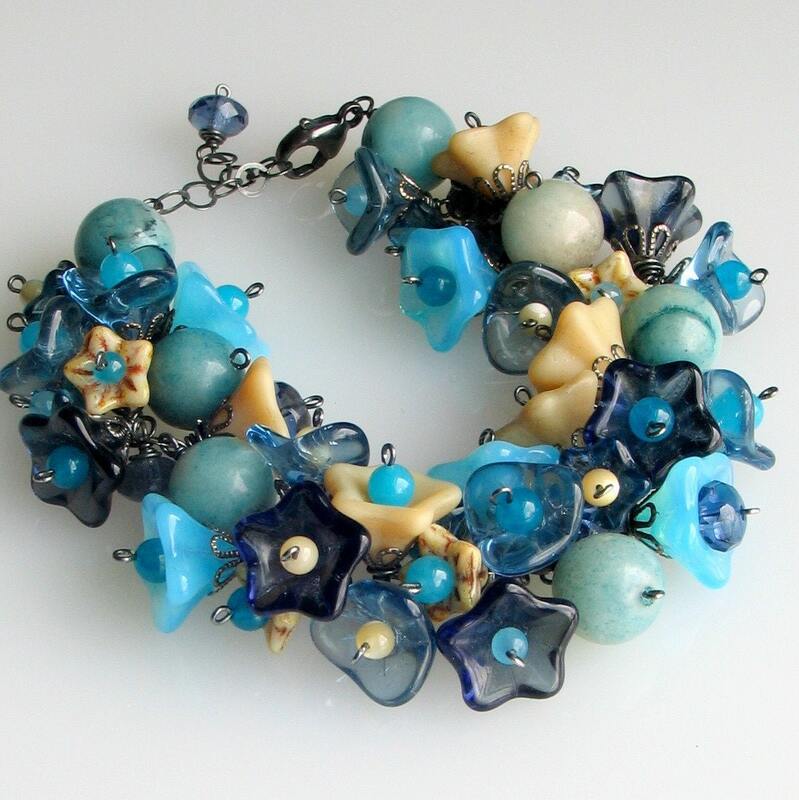 Larger, turquoise tinted quartz beads dot the arrangement and there's a small, beige jasper heart hidden in the "garden." 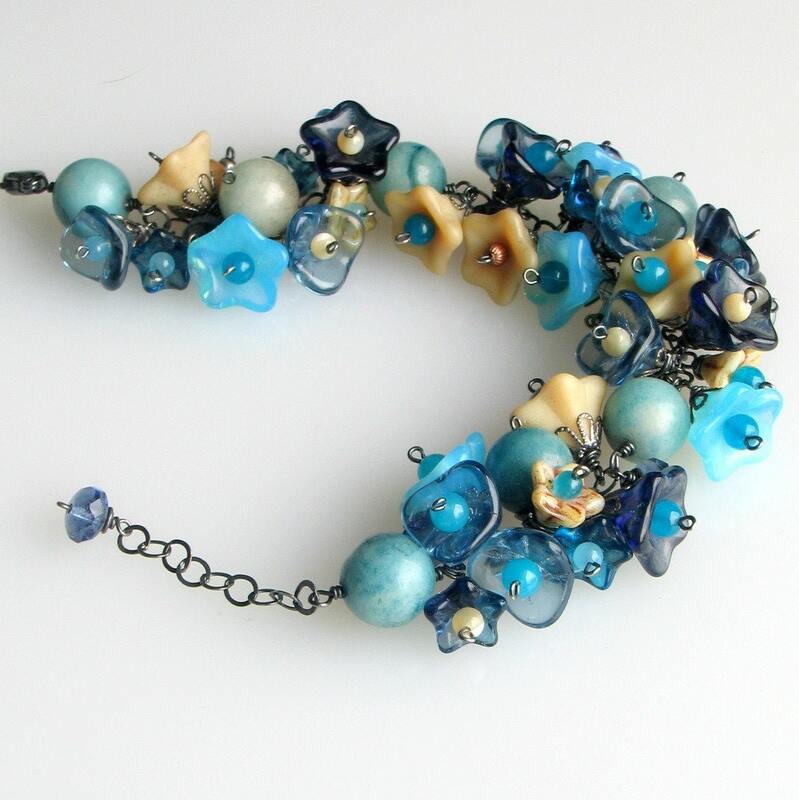 Each flower or bead is securely wire wrapped with oxidized sterling silver to a sturdy sterling silver, round link chain. All sterling silver chain and sterling wire wrappings are oxidized a nice dark gray which sets off the blue collection perfectly. 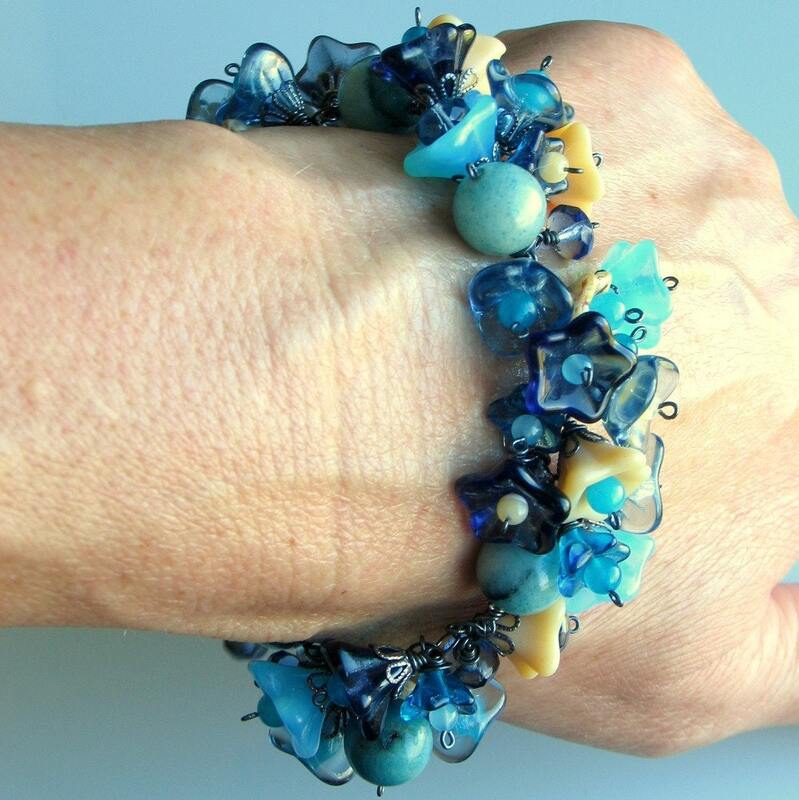 This exuberant bracelet adjusts from 7" to 8 1/4" with a sterling lobster claw clasp and an extension chain with a faceted blue glass rondelle dangling from the end. Bracelet is carefully packaged in my signature cotton filled box--all ready to give or to keep. It is one of a kind!